It’s not every day you get to meet a genuine cult hero (which is of course the best kind of hero). 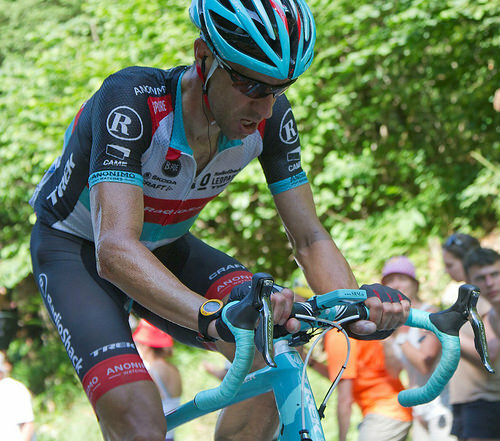 I interviewed Jens Voigt last week. The headline above was one revelation that somehow didn’t make it into the piece I did for road.cc. Here’s the context. He was telling me about the type of rider he was. “I looked at myself and I go, okay, what can I do to win. I could never beat Kittel or Cav in a sprint. I could never beat Contador or Froome on a climb. I could never beat Wiggo or Cancellara in a TT so I had to do something else. I had to look at my assets and what had been given to me by mother nature was a big engine, the ability to suffer for a long time and large desire to win. So basically, he could endure more than anyone else. That’s Jens in a nutshell. He endured pain and suffering like no-one else and he endured in the sense that he lasted as well, cycling professionally well into his forties (this was the main topic of that road.cc interview, if you’re at all interested in hearing more). Jens also said that he’s writing a book at the moment. Somewhat unbelievably for a man of his reputation, he’s currently short of words.